gCaptain provides proof we can expect to see merchant vessel transits of the Arctic Ocean even in Winter time. The Eduard Toll is one of a class of six being built in S. Korea for a Russian/Chinese joint venture. 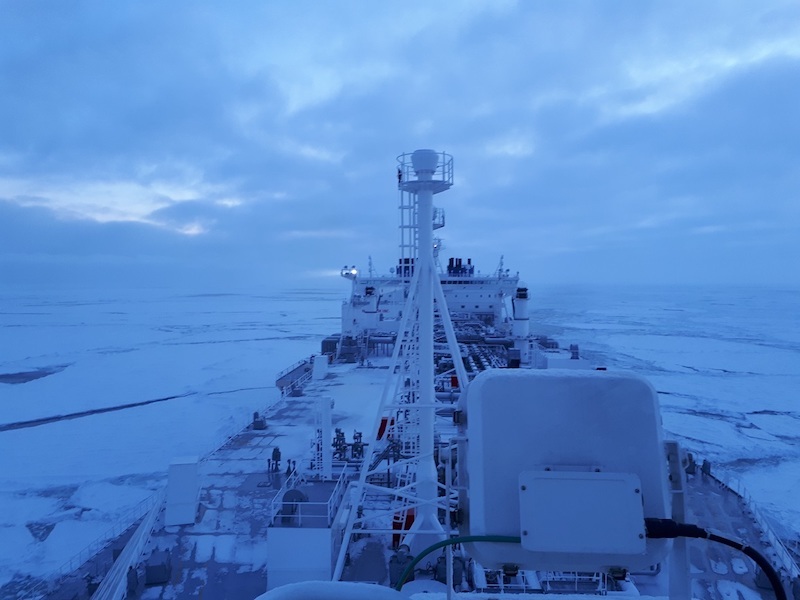 The reason that Eduard Toll doesn’t need Icebreaking Assistance, is because she was designed to be the World’s First Purpose Built LNG Carrier/Icebreaker. First of a class of six, but I expect we will be seeing more similar ships. There’s three or four of these ships in operation and 15 will be built in total for different companies.